Post 9 of a series detailing our Eastern Europe road trip. View all the posts so far here. We could have driven from Belgrade, Serbia, to Vidin, Bulgaria, in under four hours if we’d taken the fast route. 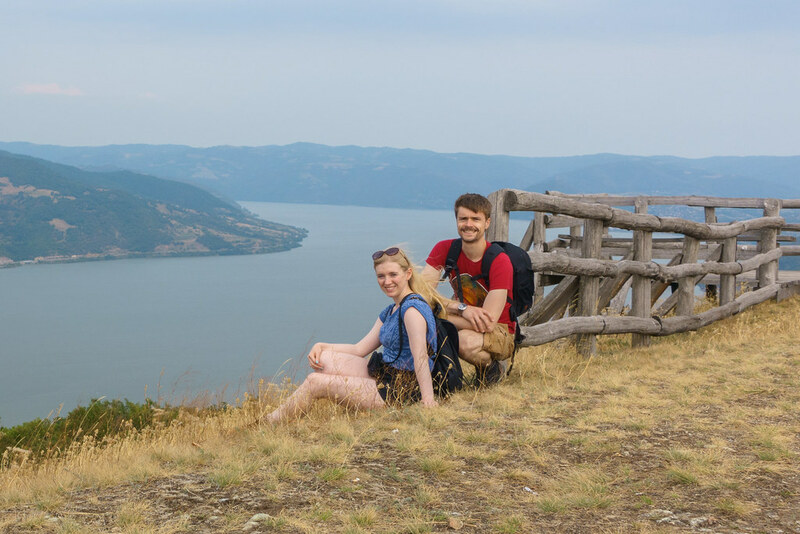 But no – I wanted to see some more Serbian sights along the way, namely Golubac Fortress and the Djerdap Gorges, sometimes referred to as the Iron Gate. This took the driving time to over five hours, and it probably wasn’t worth it. 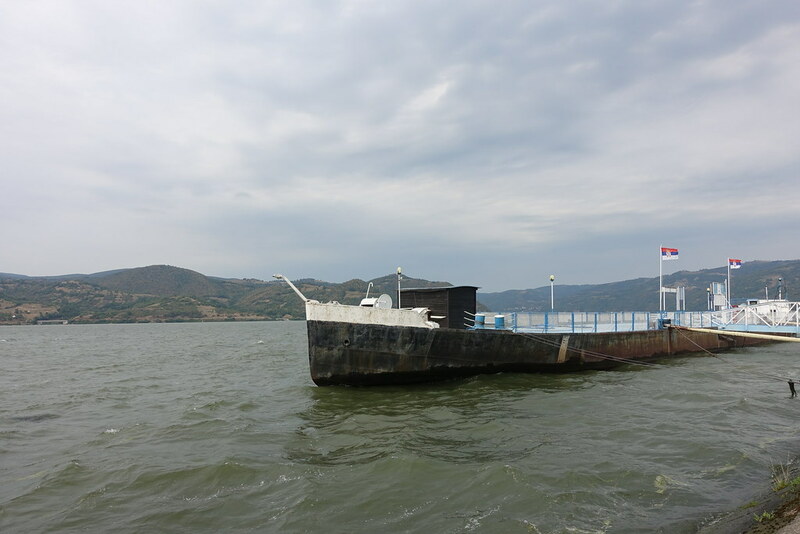 We didn’t spot Golubac Fortress right away and had to double back to enter the car park. 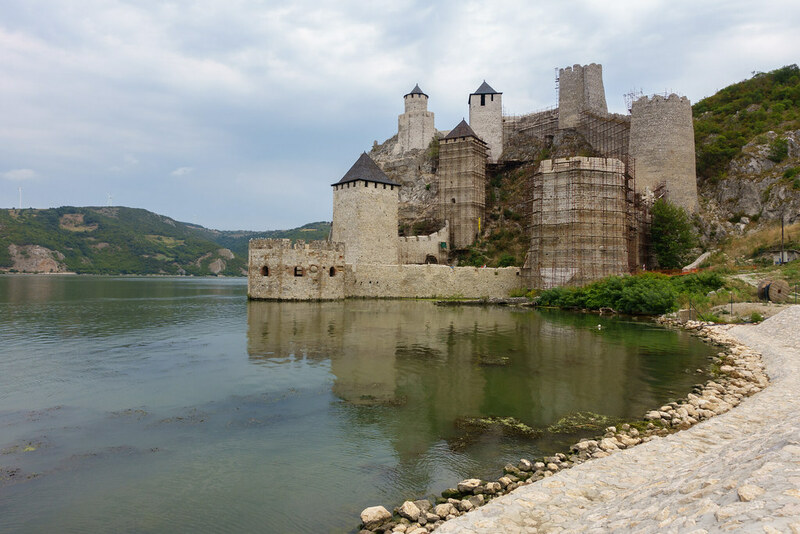 Once we’d walked to the edge of the Danube river, however, we were disappointed to see that the fortress was shut for restoration. It was flanked by scaffolding, meaning it didn’t look as good as I’d imagined either. Oh well. We took the stop as an opportunity to eat lunch (I ate the rest of my schnitzel from last night, Steve had cake and a coffee) and were soon back on the road. The fabled ‘Iron Gate’ was not quite how I imagined either. 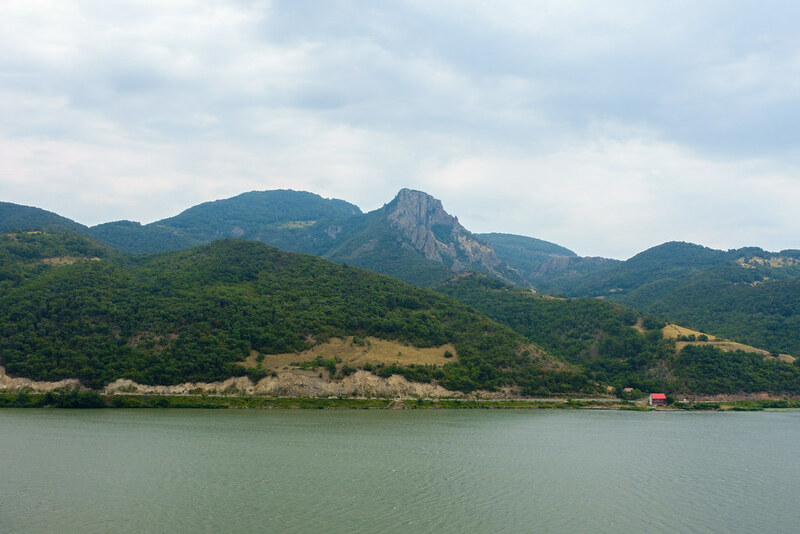 We followed the road from Golubac Fortress along the Danube, aiming for the ‘Iron Gate’ as marked on Google Maps. The scenery along the river valley was lovely, and when we found a place to stop, the dramatic Djerdap Gorges were a stunning sight to behold. The slight issue was that I was expecting to reach the point marked as ‘Iron Gate’ and to find the best, most beautiful view of the gorges. 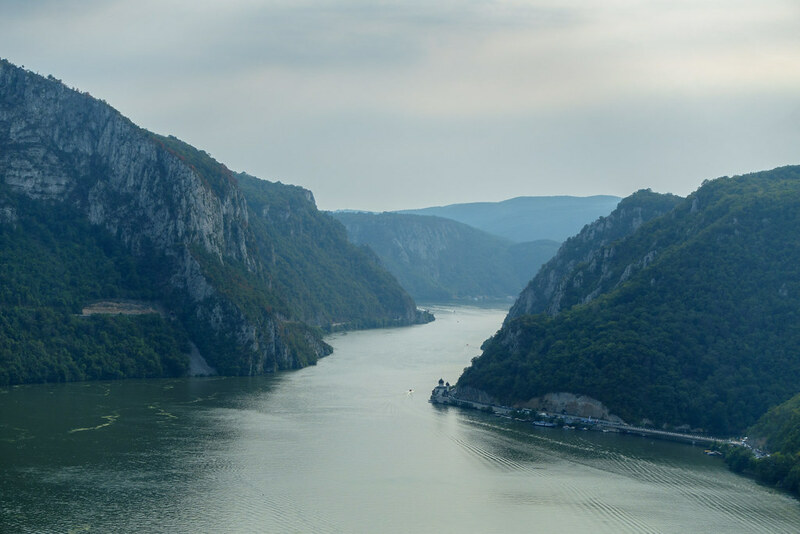 The reality is that the Iron Gate describes this entire section of the Danube; there is no single best viewpoint; and the ‘Iron Gate’ we were driving toward actually referred to a very unattractive hydroelectric plant of the same name. We probably drove past the best viewpoint without realising it. 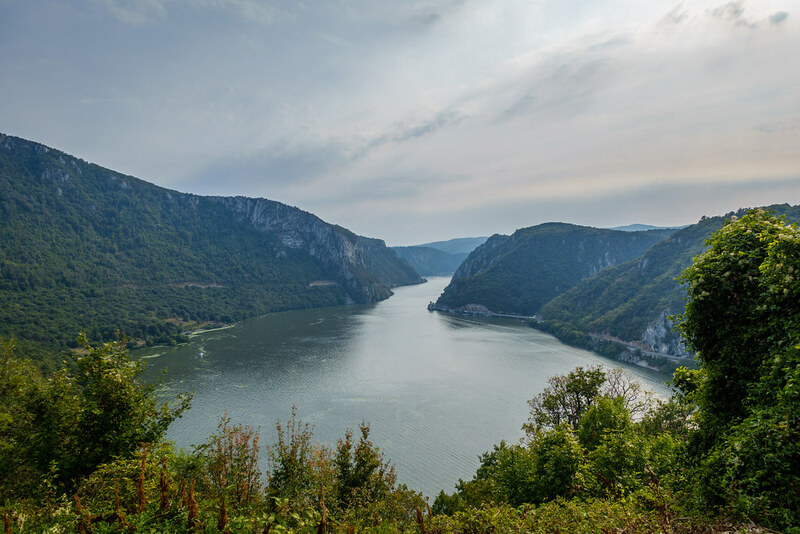 So if you plan to see the Djerdap Gorges yourself, my advice is to take in the scenery, stop often, and don’t bother going all the way to the power plant – turn off at the town of Donji Milanovac instead. It was at a point just before we reached Donji Milanovac that we decided to follow a sign pointing to a walk. We drove up a narrow, twisting road that went up, and up, and up, through dense forest, growing more unsure of what we’d committed to by the second. But eventually we reached what looked like the start of a walk through the trees, and parked in the mud on the side of the road. Kovilovo, as the trail was called, turned out to be a really easy and enjoyable walk. There were even information boards along the way, providing information about native plants and wildlife we might spot in the area. The path took us through dense green forest onto the top of a grassy hill, offering a beautiful panoramic view of the Djerdap Gorges below. And we had the whole hill to ourselves. 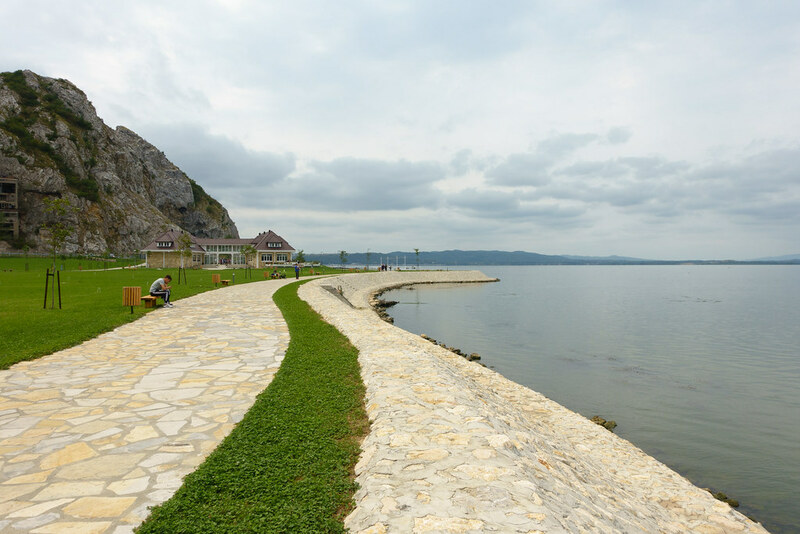 Having returned from our walk and rejoined the main road, we stopped in the harbour town of Donji Milanovac to visit the Djerdap National Park information centre. Unfortunately, it had already closed for the day and the entire town seemed deserted. I found it really strange that the centre of a beautiful National Park would be empty at 4pm on a hot sunny day in August. We walked a circuit around the silent harbour before deciding to drive on. We should have driven straight to the Bulgaria at this point, but instead drove to the Iron Gate power plant and added probably another hour to our journey (do NOT bother to do this)! Nevertheless, we eventually reached the Serbia-Bulgaria border crossing. It was quieter than the Romania-Serbia crossing: it comprised merely two booths, two men, and a few roaming dogs. A few minutes and a search of our car’s boot later, we were driving through rural Bulgaria. 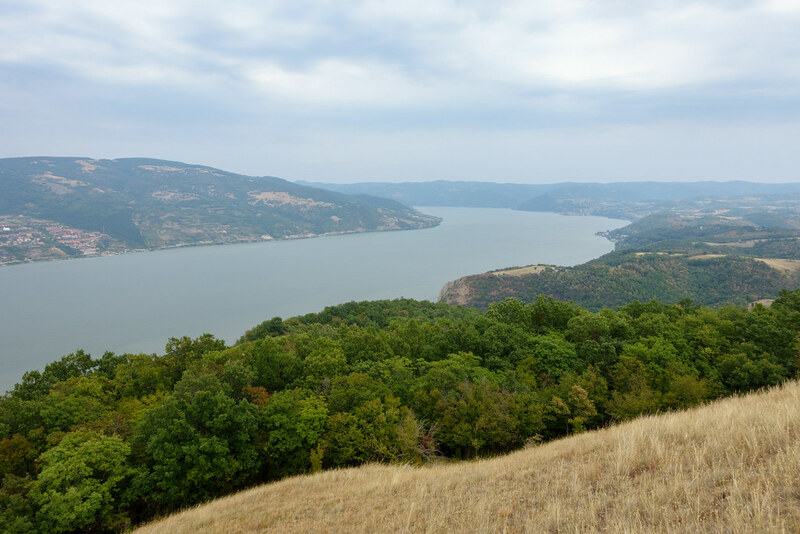 Posted in Eastern Europe, Serbia, TravelTagged Djerdap Gorges, Golubac Fortress, Iron Gate, KovilovoBookmark the permalink.